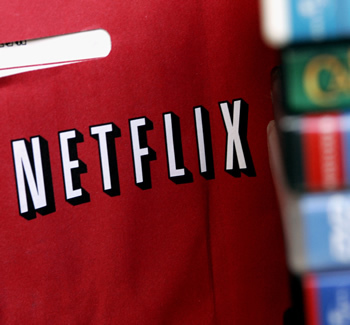 In its recent earnings report, Netflix teased the possibility of partnering with HBO -- a deal that would potentially allow cord-cutters to keep up with popular shows like Game of Thrones without relying on illegal filesharing services. Unfortunately, the premium network quickly dismissed the notion yesterday: "We are not in discussions and have no plans to work with Netflix," said HBO spokesman Jeff Cusson. Despite that rejection, Netflix has a positive outlook. The company reported revenue of $889.2 million for the second quarter, up 13% from $789 million in the year-ago period and in line with expectations. Net income totaled $6.16 million, returning the company to global profitability after a loss in the first quarter associated with expansion in Latin America and the UK. Netflix expects these figures to be roughly mirrored in the third quarter, predicting sales of $890 million to $911 million with a profit of $8 million, while it expects to post a loss in the fourth quarter due to expansion in Europe. The company said it is focused on entering new territories over the coming years and that will likely result in little meaningful growth in net income. The second quarter added 530,000 new users in the US and 560,000 across Canada, the UK, Ireland and Latin America, bringing the total subscribers to just under 24 million in the US and 3.62 million abroad. These figures fell short of expectations as analysts anticipated 24.3 million US subscribers and 3.7 million overseas, but Netflix seems happy with the growth.